Enjoy a rowdy good time at the Great Alaskan Lumberjack Show! 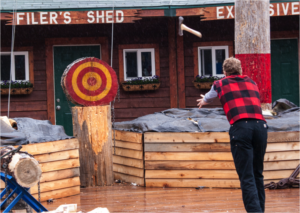 From the covered & heated grandstands, your cheers become roars of excitement as two teams of true Alaskan Lumberjacks compete in 12 events including chopping, sawing, tree climbing, and log rolling. 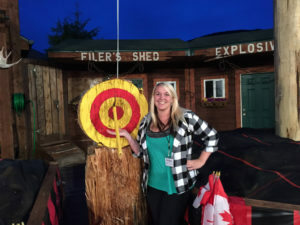 You’ll see Alaska’s frontier lumberjacks battle British Columbia’s premier woodsmen in a no-holds-barred competition for the title “Bull of the Woods.” Your colorful host who delights the crowd with stories of lumberjack history & lore compliments the action. Meet your jacks after the show for pictures and then, you can compete in a thrilling Axe Throwing Competition. 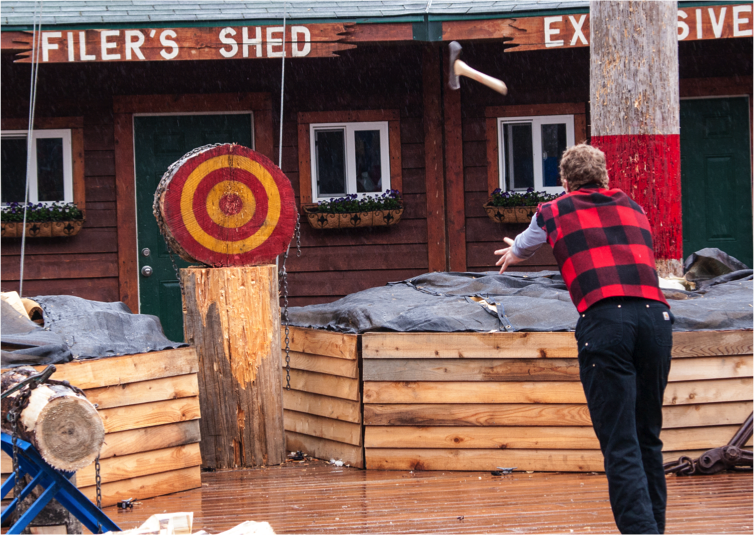 World-Class Lumberjack’s will teach you the art of throwing a 7 lb. razor sharp axe and then you will go head-to-head in a thrilling competition against other competitors.